Rattlers are found almost anywhere in SoCal. When I was walking down the Del Mar river path with my dogs recently, we encountered a rattlesnake on the side of the trail. More often than not, hikers and campers do see the rattlesnakes. However, these snakes may be hiding in your neighborhood, in your backyard. Pets do get bit because they are simply curious. One of my earlier dogs, Lady, was completely oblivious and stepped right on the snake. Note that a bite can be deadly and it’s expensive to treat. Various factors determine the severity of the bite: how old the snake was when it bit; how early in the season it is; how deep the fangs penetrate and how much venom is secreted; location of the bite; and how soon the pet owner seeks medical attention. Can you prevent a snake bite? 1) Keep your dog on a leash. I know this is not what you want to do when you’re hiking or camping with your “well behaved” dog. Yet, most bites occur because the dog is off trail. This happened to my dog because she couldn’t connect the rattle sound to the bite of the snake. She stepped right on the snake, twice. It took those two bites to learn to keep my dog leashed. 2) Stay on the trail. Given a choice between a wide or narrow trail, choose big. This allows you to get a better view. If there is a log or other debris on the trail, make sure you know where you’re stepping. Too often, a snake may be on the other side. 3) Don’t leave your dog unattended where there is potential for a snake to hide. Remember that snakes like to hide under rocks, logs, in bushes. 4) Some people advocate a rattlesnake aversion class. I’m on the fence with this kind of training. It’s negative training and involves a shock collar on your dog. I know that my dog, who has a general anxiety disorder, would not do well with this type of training. Talk with your vet, who knows your dog’s temperament. 5) There is a new vaccine available. Again, I’m undecided with this as well. It will not prevent the dog from getting symptoms. What it will do is buy you more time to get to a vet. Since many snake bites occur in remote and rural areas, this extra time may be lifesaving. But, if you have a dog that is prone to vaccine reactions or other side effects of any vaccine, it may not be right. It is also only licensed for rattlesnake venom, not other types of venomous snakes. Consult with your vet to evaluate the risks and benefits for your pet. What should you do if your pet gets bit? Don’t panic! That’s the first step. There are conflicting views on what to do when your pet gets bit. The one thing everyone agrees on is to get to a vet ASAP. You may be too far to reach your vet in a timely manner, so find the nearest one to your location. Use your smart phone. 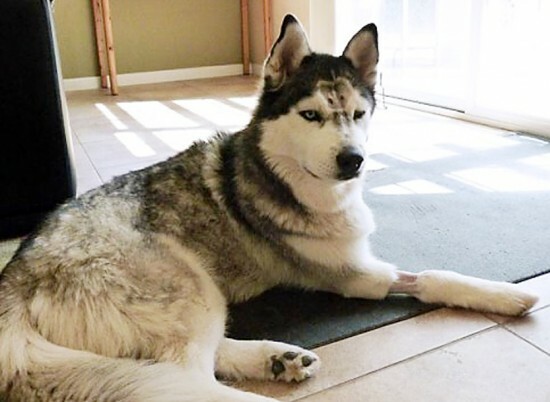 Not all vets carry the antivenin, but he can treat a bite and give supportive care. Try to keep your pet as still and calm as possible. Movement spreads the venom from the bite wound to the rest of the body. The more your pet moves around, the faster the venom spreads. Limit walking as much as you can and don’t allow any running. This means that you will have to carry your dog around. Luck was with me when Lady got bit. A good Samaritan stayed with her while I went to get my car. Take precautions and be safe! Dr. Stephanie Oba is a contributing writer and animal physician working at a non-profit rescue organization in San Diego. Opinions expressed in this column are not necessarily those of The Rafu Shimpo.